Fourth, the ideal solution had to work with the Bavarian State Building Administration’s existing information platform, BAYSIS, which is hosted on Microsoft SQL Server. BAYSIS contains an expansive amount of data on Germany’s transregional road network and all road-related technical information, and it supplies this data to users both inside and outside the administration. The core Microsoft SQL Server database is augmented by a number of additional databases and apps as well, and all these information tools are brought together under one system: the digital version of Bavaria’s road network. 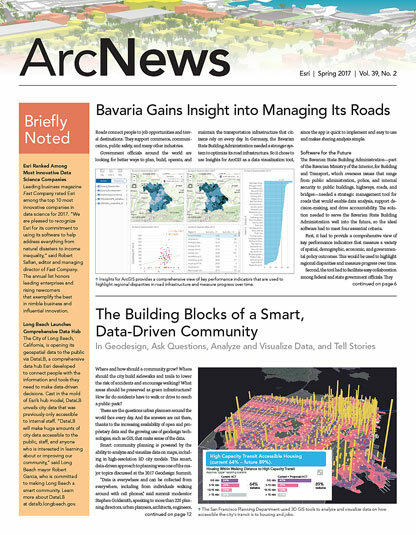 “Insights for ArcGIS supports the process for both management and government decision-making in a way that optimally serves both a citizen- and business-oriented infrastructure deployment,” said Roland Degelmann, head of unit infrastructure planning for the Supreme Building Authority in the Bavarian Ministry of the Interior, for Building and Transport. 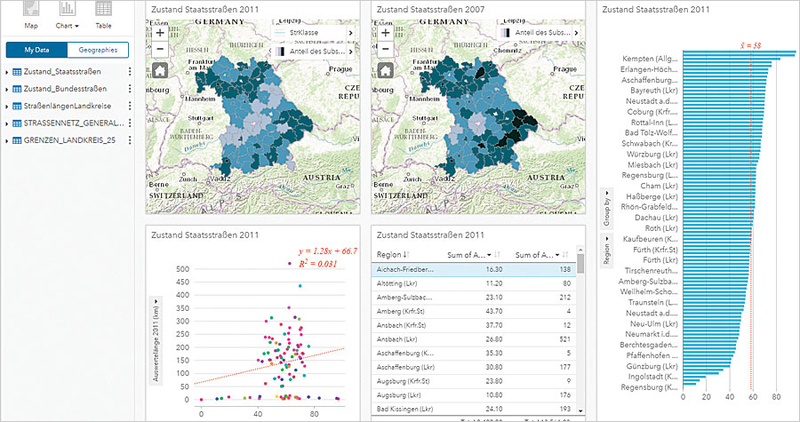 In selecting Insights, Degelmann said the team liked how the app allows users to connect to many data sources (such as Microsoft Excel spreadsheets), geodatabases, enterprise databases (such as SQL and SAP HANA), demographic data from Esri, and publicly accessible statistical material. 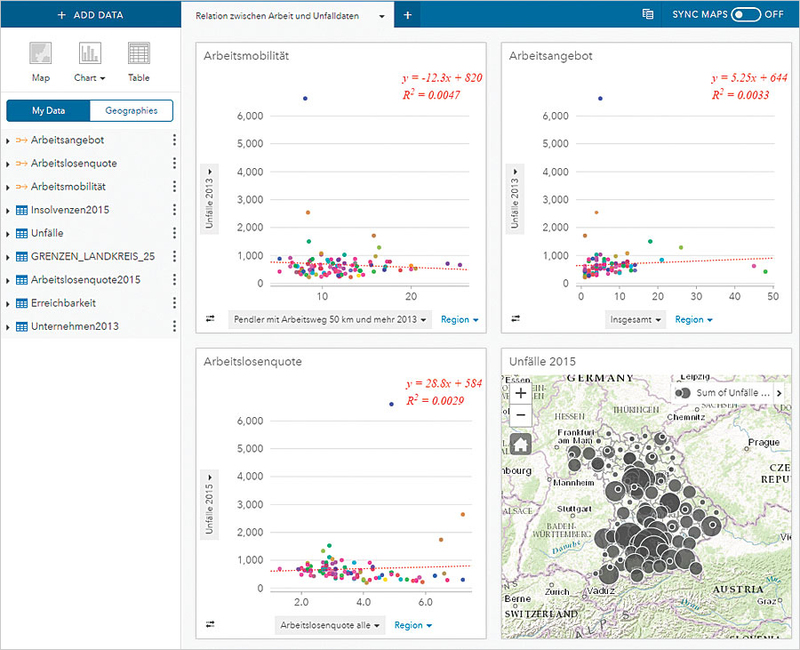 The modern user interface and drag-and-drop functionality enable Bavaria’s transportation authorities to perform spatial analysis in just a few clicks. The team can then share analysis results or the analysis model with others.